The American actor James Avery has died aged 68, his publicist has said. 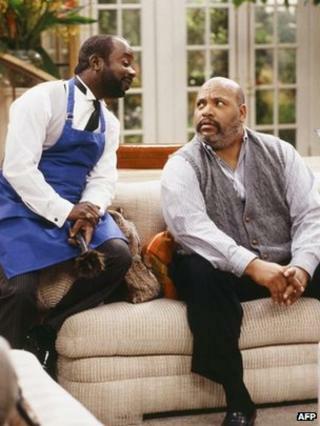 He was best known for his role as Phil Banks in US television series The Fresh Prince of Bel-Air with Will Smith. Jada Pinkett Smith, Will Smith's actress wife, also paid tribute to the actor, saying they had "lost yet another friend". "Our condolences to aunt Florence (his mother), Miss Barbara (his wife) and all those who loved him," she wrote on her Facebook page. "Rest in peace James." Avery appeared in a number of films and TV shows including Grey's Anatomy and Star Trek: Enterprise. Avery's publicist, Cynthia Snyder, told the Associated Press that Avery died on Tuesday in Glendale, California, following complications from open heart surgery. He is survived by his wife of 26 years, Barbara, his mother, Florence Avery, and his stepson, Kevin Waters. Ms Snyder said plans were being made for a memorial service. The Fresh Prince of Brixton!